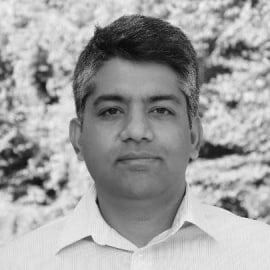 Deepak is the Founder of ArtisChain, a blockchain enabled platform with a vision to simplify maritime supply chain(s). He has start-up DNA coupled with Fortune 500 rigor and discipline. His singular passion is to smartly apply technology in pursuit of brilliantly effective solutions. Prior to ArtisChain, Deepak was heading IT for a $70M startup unit @Gartner.